Weâ&#x20AC;&#x2122;re pleased to be able to utilise our extensive market knowledge and suite of comparable properties to provide you with advice on the likely rental returns which may be generated by your property. The rental ranges shown here are reflective of the current market and cover an average of peak and off-peak rates. Renting your property as a holiday home is an attractive option, particularly to owners who seek flexibility of use combined with strong income potential. Taking holidays at times to suit you is a significant drawcard when comparing the advantages of holiday letting to the income security of long-term letting. Bear in mind, however, that we have a sister company offering long-term letting so are able to maximise your income through use of a combined letting strategy - please let me know if this is something which interests you. For owners living outside of the Queenstown area, the superior level of management, comprehensive communication and detailed attention to property maintenance ensure peace of mind wherever in the world you may be. Occupancy Occupancy rates are the biggest variable in any holiday home, varying between 90 and 300+ nights per annum, with the majority achieving 150-250 nights per annum. Rental range Based on our experience with comparable properties, we suggest a nightly rental tariff of between $420 and $825 per night, dependent on the time of year. Below is a table estimating appropriate nightly rental and potential returns for your property. Setting rates Whilst the rates outlined summarise our initial thoughts on the property, please be aware that these may require amendment following a more detailed viewing of the property and understanding of your expectations around income and occupancy. We have found that some owners wish to utilise the property for themselves, friends and family throughout the year, so itâ&#x20AC;&#x2122;s worth noting that the timing and volume of this can significantly impact the income potential of the home. To calculate accurate yields we will also require information on rates, insurance and body corporate fees. For any additional information, please get in touch on the details below. I look forward to speaking with you further. www.relaxaway.co.nz All care has been taken in preparing this appraisal, however Relaxaway holiday homes, its directors or employees accept no responsibility for the accuracy of the information at any time including liability in negligence to any other person. Whilst we believe this information is accurate, no liability can be accepted by Relaxaway holiday homes, its directors or employees for copy error or omission. The financial information herein has been provided by the vendor and should be used as a guide only. 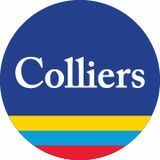 Colliers accepts no responsibility for any inaccuracy and recommends that potential purchasers should make their own independent calculations.